We're back with the second post on the history of the wonder metal - Aluminium. Thanks for coming back. Let's roll forward on our journey and check out the important milestones that shaped our history. Read our first post in this series here. 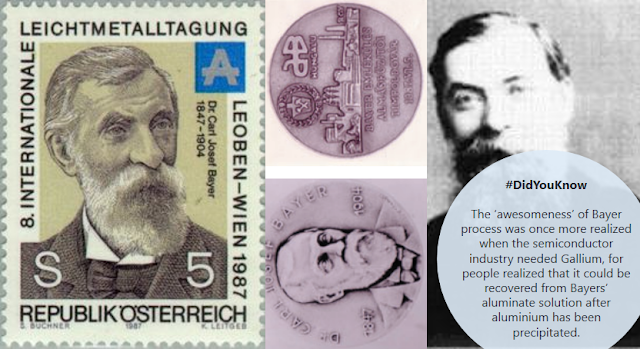 1886: The electrolytic process of extracting aluminium used today in some smelters was invented by two scientists – Charles Martin Hall and Paul Louis-Toussaint Héroult. 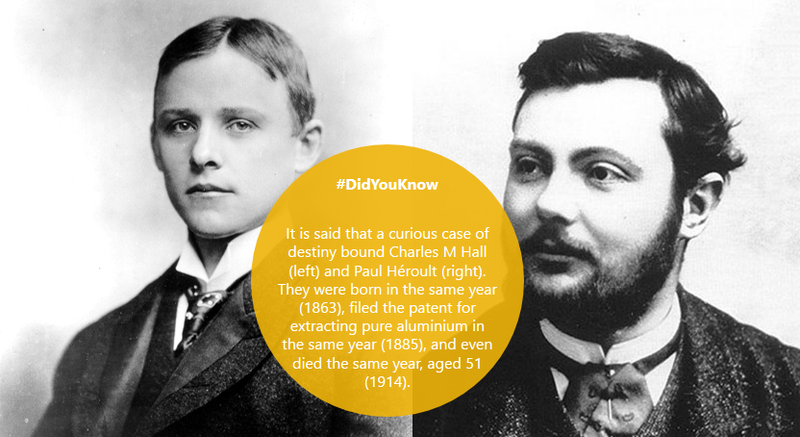 The former was a French scientist and the later, an American chemist. The duo invented and even patented this process at the same time while working independently. The scientific world gave recognition to both by calling this the Hall-Héroult Process of aluminium extraction. We’d totally watch a movie made on this! 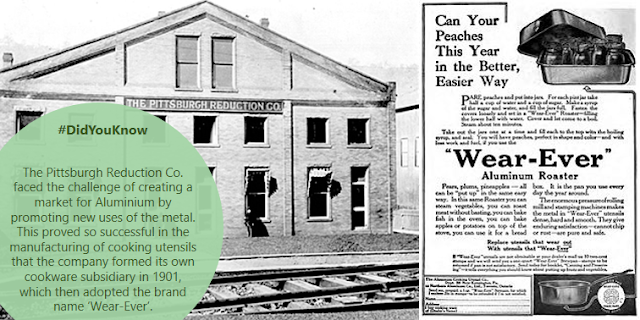 1888: Charles Hall and his partners founded a smelter in Kensington, Pennsylvania, which extracted aluminium using the process invented by Hall himself. Initially, the company churned out 22.5kgs of metal per day, which by 1890 had increased to 240kgs per day. This smelting operation was called the Pittsburgh Reduction Company, and later renamed the Aluminium Company of America or Alcoa. Today, Alcoa is a publicly-traded company with net income of $113mn in Q3 FY17. 1894: The then John Pierpont Morgan owned New York, New Haven and Hartford Railroad Railway Company (NH), began producing special lightweight passenger railcars with aluminium seats. This was probably the first documented foray of aluminium into the transportation sector. 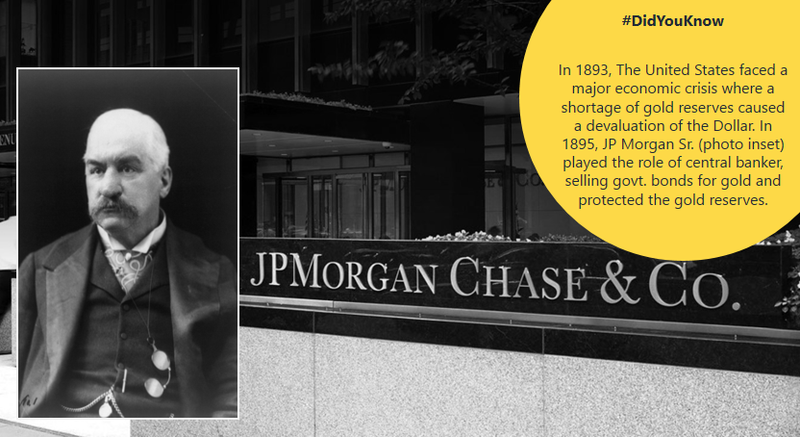 JP Morgan embarked on monopolizing New England transportation by building a network of electrified trolley lines and increasing the companies under NH by aggressive acquisition. NH operated in the north-eastern part of US from 1872-1968 dominating the region’s rail traffic. 1899: At the Berlin International Motor Show in Berlin, Karl Benz showcased the first sports car built with an aluminium frame. 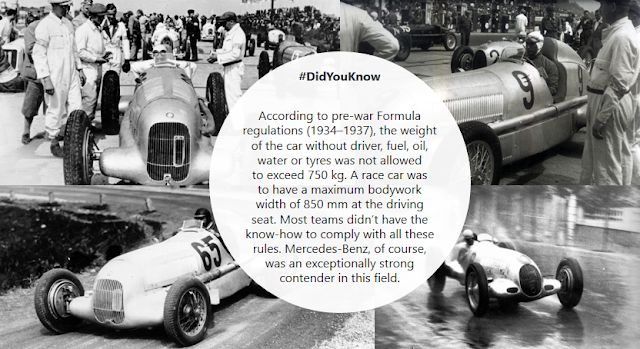 Two years later, in 1901, Karl Benz presented the first engine built with aluminium parts at a race held in Nice, France. A gallery of the Mercedes-Benz Models that inked the car company’s name in gold at Grand Prix. 1903: The Wright brothers’ Flyer 1, the first steerable flying apparatus flew with a strong but lightweight 13HP engine made of hard aluminium alloy (92% aluminium & 8% copper). 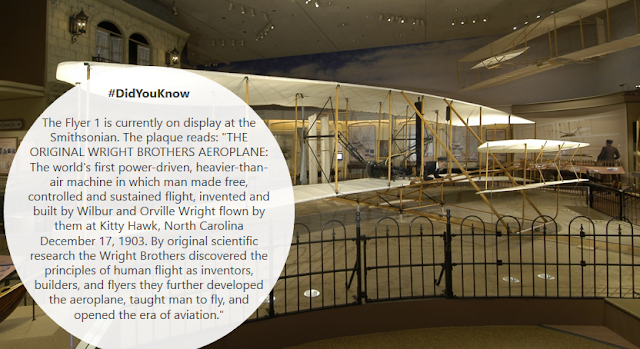 On its first flight, the aircraft took off and flew for 12 seconds and landed at a distance of 120 feet. The brothers flew it four times that day, the longest one lasting 59 secs and 852 feet with Wilbur at the helm. On the last flight, a gust of wind had lifted the up the ‘aircraft’ and sent it crashing. 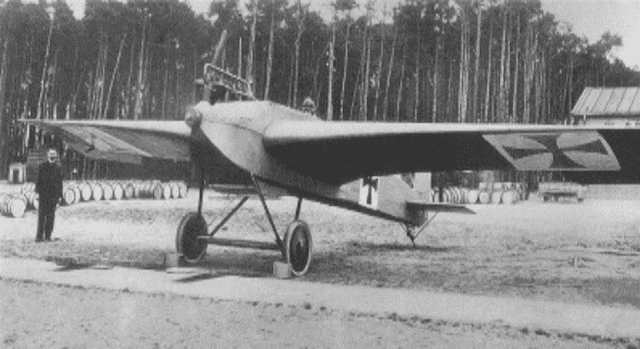 It was severely crushed and would never be flown again. However, the brothers had already accomplished what they set out to do. Aluminium gives you wings! If only Icarus knew of this dream metal. 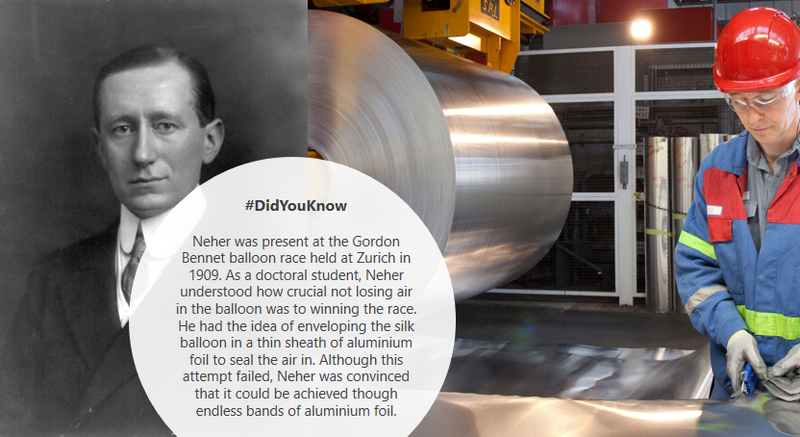 1907: The first aluminium foil plant was set up by Robert Victor Neher in 1910 after he invented the ‘continuous rolling process’ of making foils in 1907. This was a milestone achievement in the field of packaging, for aluminium foil completely replaced tin foil which was widely used earlier. 1911: Maker of the famous Toblerone bars, the Swiss chocolate company Tobler was the first to pack its products including the Toblerone bars with aluminium foil. Maggi followed suit, and by 1912, aluminium foil was being used by Nestle Maggi to pack soups and stock cubes. By 1920, the German dairy sector had been revolutionized by the introduction of aluminium foil packaging and household foil had become commonplace in the US. Yes, your sweetest dreams come wrapped in aluminium foil! 1917: The first all-metal aeroplane Junkers J1 flew with a duralumin fuselage. It was designed by the German aircraft designer Hugo Junkers. 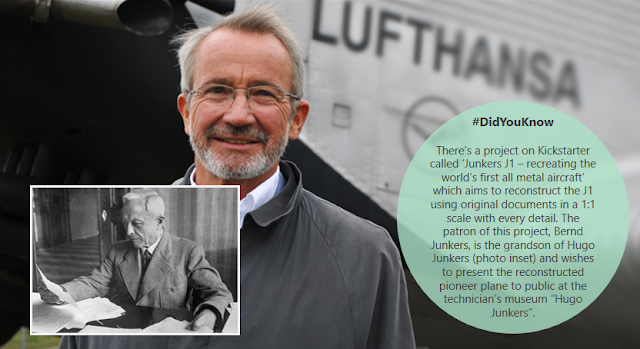 Duralumin, an alloy of aluminium with copper, magnesium and manganese, was created by the German metallurgist Alfred Wilm in 1909. 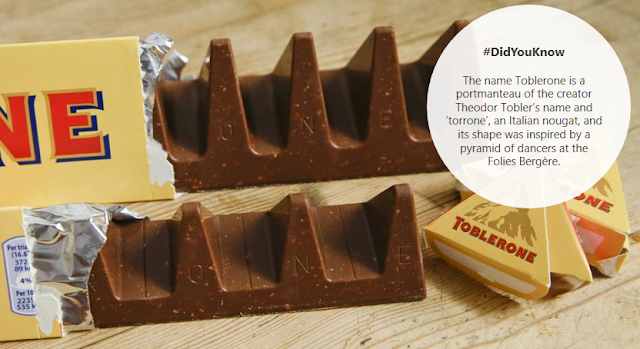 It is as light as aluminium but significantly harder, more durable and elastic. 1931: The first iconic architecture designed extensively with aluminium was the Empire State Building in New York, the then world’s tallest skyscraper with 102 stories and a height of 1,454 ft. 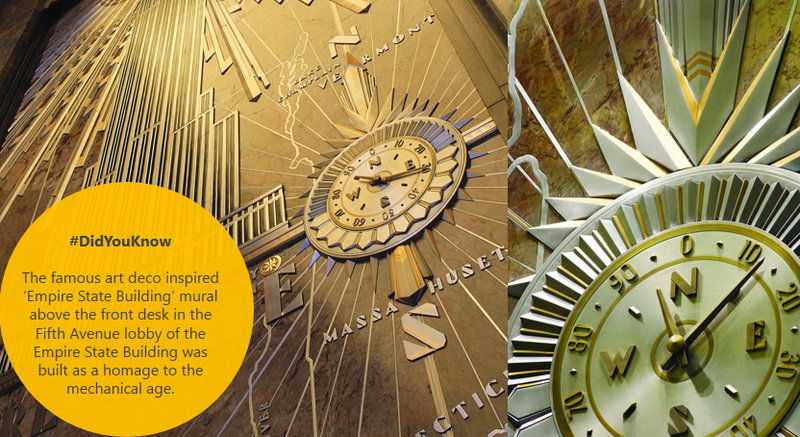 The first thing that catches the eye when you enter Empire State Building is the gorgeous fresco in its lobby, constructed of aluminium leaf and 24-carat gold. 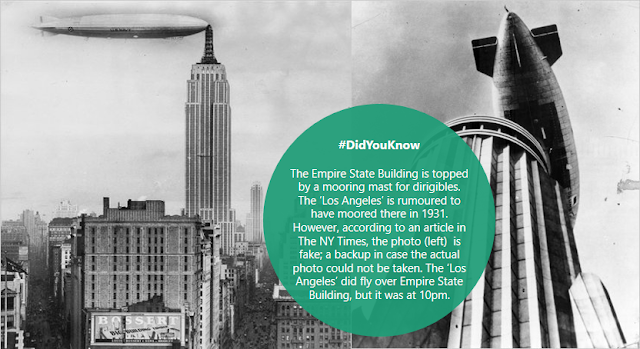 The picture on the right is that of the dirigible ‘Columbia’ as it was flying over the Empire State Building. 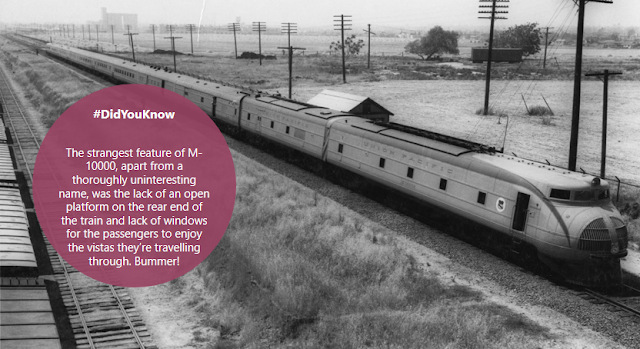 1934: The world’s first all-aluminium train, the M-10000, was built by the American railway company Union Pacific, which trumped the race to put the first streamliner in service. Built by Pullman, the M-10000 featured an aluminium body and a kerosene-based distillate engine made by General Motors. The journey continues as we move beyond 1935 and enter into the modern era in our next post... Watch this space!